When I set my DVR to record Ch4’s Cyberbully (2015), I assumed it was going to be a true-life drama about a teenage girl dealing with online abuse… instead it turned out to be a slightly hackneyed morality-tale horror/thriller about a teenage girl being tempted and taunted by a demon-in-the-machine, who forces her to face the damage done by her own thoughtless comments and actions… kinda like a post-millennial An Inspector Calls (“An Inspector Tweets”?). 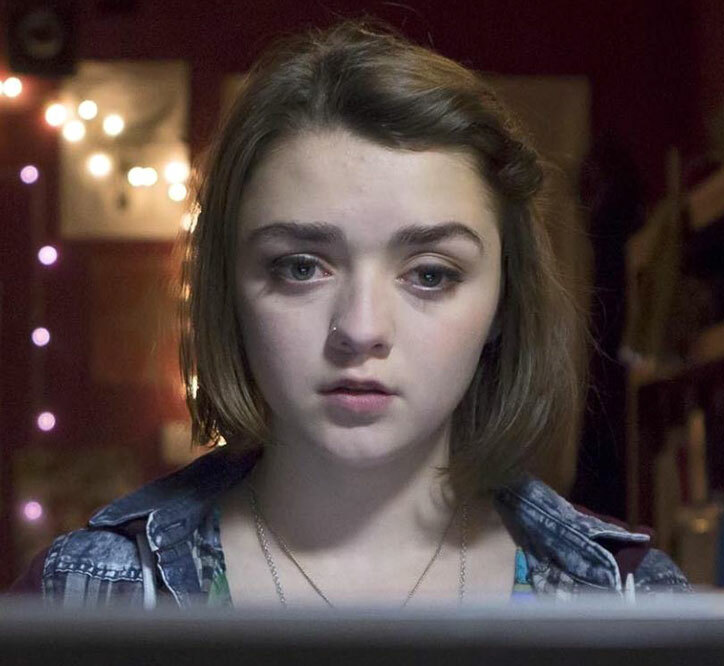 The plot was pretty predictable and the dialogue was a bit naff in spots… but I was drawn in by the performances of Maisie Williams (in the lead role as a spiky-but-vulnerable girl suffering from depression) and Haruka Abe (as a seemingly confident girl with a heart-breaking tale to tell), and ultimately found the piece very moving. It also made me extremely glad that the internet didn’t exist when I was a teenager, because lord knows what I would have posted on YouTube back in my drama-student days! This entry was posted in Rants about TV and tagged Cyberbully, Haruka Abe, Maisie Williams. Bookmark the permalink.